Sometimes the best teacher is a working planner. How are planning schools integrating practitioners into their programs? Chad Gibson reviews project goals with his students in the 2017 spring transportation studio. Photo by Philip Arnold. When I was a mid-career planning student in a master's degree program a few years ago, I had a memorable conversation with one of my favorite teachers a full-time professor steeped in history, theory, and global planning issues. We were discussing course offerings for the following semester, and when I mentioned one elective I was considering, he dismissed it as little more than an opportunity for site visits and networking. That sounded good to me, since I was there to upgrade practical skills and use them to get a job, so I signed up — and learned a lot. In an uncertain economy, students paying enormous sums for a degree want to get a job right away and hit the ground running after they're hired. Learning on the job is a reality in any position, but most employers will assume new hires know the basics — which, in planning, can include everything from site plan review to retail analysis, or transportation demand management to shepherding plans through a public approval process, plus mapping, graphics, marketing, and coding skills. 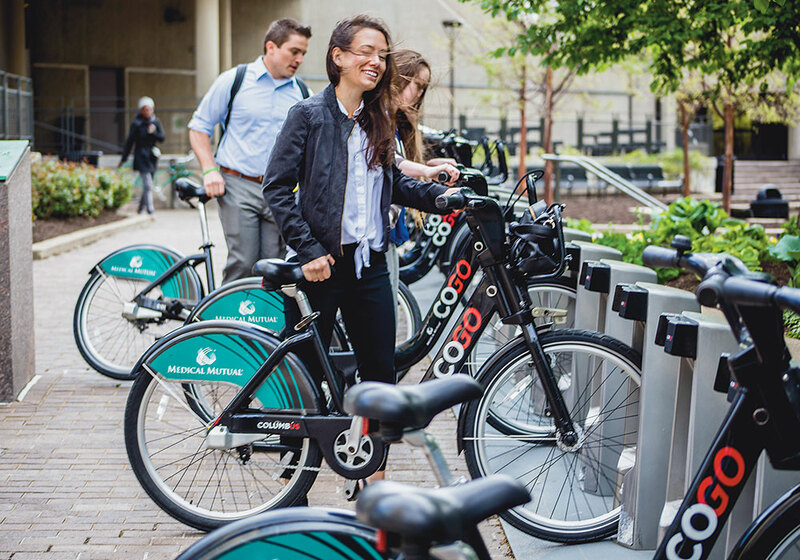 One student project was a COGO bike-share expansion plan into Upper Arlington, Ohio, with a grant from the regional planning commission. Photo courtesy Chad Gibson. One way programs can prepare students is by hiring practitioners to teach courses. Instructor reports from the trenches, data-collection exercises, and client-driven studios can complement and flesh out traditional theory curricula. Belkis Schoenhals and Jordan Henderson from the Fayette County, Ohio, master planning studio. Photo courtesy COGO Bike Share. There are two broad types of graduate planning programs, says Weiping Wu, a Columbia University professor, the director of its urban planning program within the Graduate School of Architecture, Planning and Preservation, and the president of the Association of Collegiate Schools of Planning. Most are master's degree programs, while a smaller number also offer PhDs. The latter type, which prepares doctoral students for academic and research careers, puts more emphasis on research, while the former is focused on training practitioners. 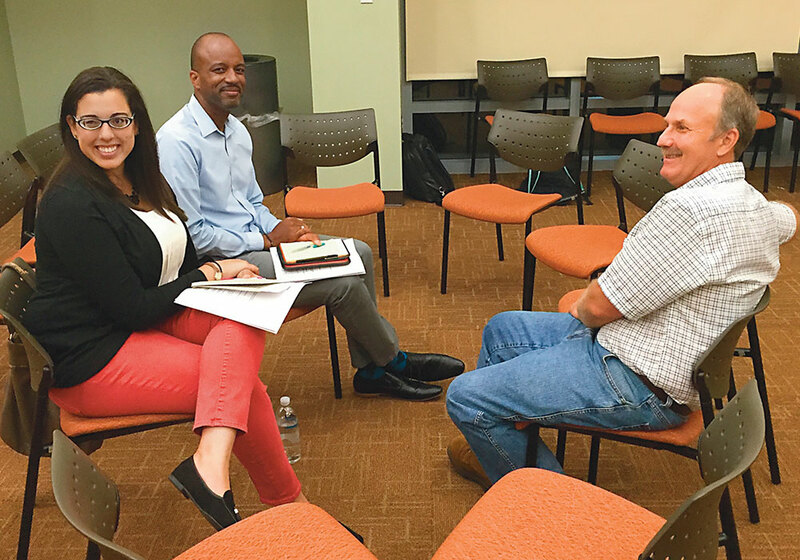 Given this orientation, master's programs usually rely more on practitioners as instructors. Current planners can teach future planners as full-time or adjunct (part-time) professors. Just as academic professors undertake research and publish their findings in journals, adjuncts and full-time professors of practice work in addition to teaching. Adjuncts often teach studios or specialized topics like transit planning. Programs in big cities, with a large pool of practitioners to draw on, might have small full-time faculties and many courses taught by adjuncts. In programs that offer PhDs, master's degree students can sometimes find themselves slightly adrift. Tim Douglas, AICP Candidate (for more on the AICP Candidate Pilot Program, go to www.planning.org/aicp/candidate), who graduated from Columbia just before Wu arrived, says that during his time in its master's program, its unstructured quality could be overwhelming for students who had yet to narrow their career focus. The situation was exacerbated by the program's lack of an internship requirement (though pursuing internships was encouraged and many students did so). At the time, some master's students felt left to their own devices as they navigated the program and tried to launch their careers. Since she took over, Wu has focused on strengthening the master's program and Douglas, who now works in New York City as a private-sector planner (and who emphasizes that his experience with the program was positive), is encouraged by the changes he's seen. Weiping Wu. Photo courtesy the Association of Collegiate Schools of Planning. WHAT ARE THREE OR FOUR LEARNING OBJECTIVES you expect your students to achieve in your course? WHAT ASSIGNMENTS CAN YOU DESIGN to help gauge how well students have achieved some or all of these objectives? HOW MANY TOPICS do you hope to cover in the course and how many are realistic for adequate depth and coherence? WHAT CASES AND PROJECTS can be integrated into the course that either you have worked on or have deep knowledge about? WHAT KINDS OF TEACHING METHODS do you hope to use to encourage active student participation in class discussions? WHAT MECHANISM DO YOU PLAN TO USE to evaluate each student's performance If you have designed an assignment or two involving teamwork? Weiping Wu is a Columbia University professor, the director of its urban planning program within the Graduate School of Architecture, Planning and Preservation, and the president of the Association of Collegiate Schools of Planning. Great planners aren't necessarily great teachers. Bonnie Johnson, aicp, an associate professor at the University of Kansas and the acting director of its planning program, recalls her first experience teaching after practicing and then earning a doctorate: "I knew what I needed to know as a practitioner, but not how to convey that knowledge to students. I knew how to review a site plan but didn't really know how I knew how to review it. The experience was difficult and frustrating for everyone involved!" After taking advantage of the Best Practices Institute's resources at KU's Center for Teaching Excellence, Johnson realized she was trying to do too much, too fast. "Students are novices. You want to take them through a process where they are heading toward being experts, but they won't really be experts until they have experience." She interviewed some landscape architects who did site planning for a living and asked them what they wished planners knew. They all told her that even after five years of school, new planners develop most of their skills on the job. "I was there to set them in the right direction," she says. "It changed my whole outlook and how I taught the class." But these kinds of training programs are usually only available to full-time faculty. How do adjuncts develop teaching skills? Wu puts a lot of work into finding seasoned practitioners with the talent and willingness to teach — and offers detailed guidance for adjuncts at Columbia. She encourages them to identify specific learning objectives for each course and what students will be expected to know after a semester, whether that's substantive knowledge, an ability to analyze something like a zoning regulation, or a combination of both. And even practical courses are expected to provide the theoretical underpinning of key concepts and how they relate to trends in practice. Sticking with the zoning example, that could entail a discussion of the development of form-based codes, how they compare with traditional Euclidean zoning, and why some planners felt a different approach was needed. 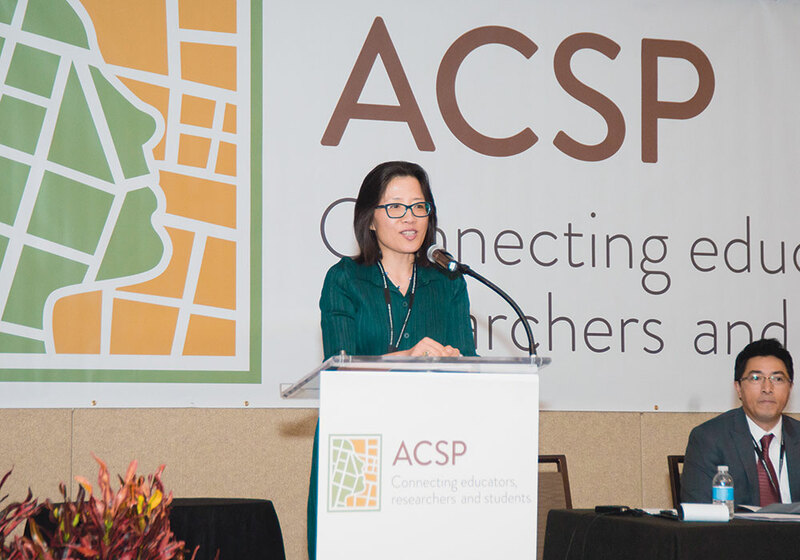 "To help students understand issues more systematically, even practitioners need to look at academic research so concepts are grounded in wide-ranging evidence, not presented as an ad-hoc approach or an unconnected set of stories," Wu says. She also works with adjuncts to design assignments that deliver on established objectives. While teaching has traditionally been focused on inputs, educational accrediting bodies — including the Planning Accreditation Board — are increasingly focused on outcomes, she says. "This is challenging, even for full-time faculty." For many students, the most important educational outcome is a good job after graduation. But, like Wu, Johnson believes a grounding in theory is important even for the most practical planning endeavors. "When I got my first planning job, I needed some of those 'big ideas' to convince the city council of the right thing to do," she says. "I needed facts and figures, but also concepts to inspire them, to convey why this issue is important beyond this one decision today, to help them understand why I'm arguing so vociferously for a certain approach." That's where practitioners coming into the classroom after years in the trenches can struggle. Inexperienced teachers might have an idea for a project but no roadmap for students to follow through its process. "When the average person walks into a space, say a downtown area, it might seem nice or awful, but they're not sure why," says Johnson. "If students are just told to 'make this a nice downtown' with no theory or tools as a foundation, they will probably just flounder, or duplicate what's been done before." Some planners have a natural ability to translate abstract concepts and lessons from practice into formative educational experience. 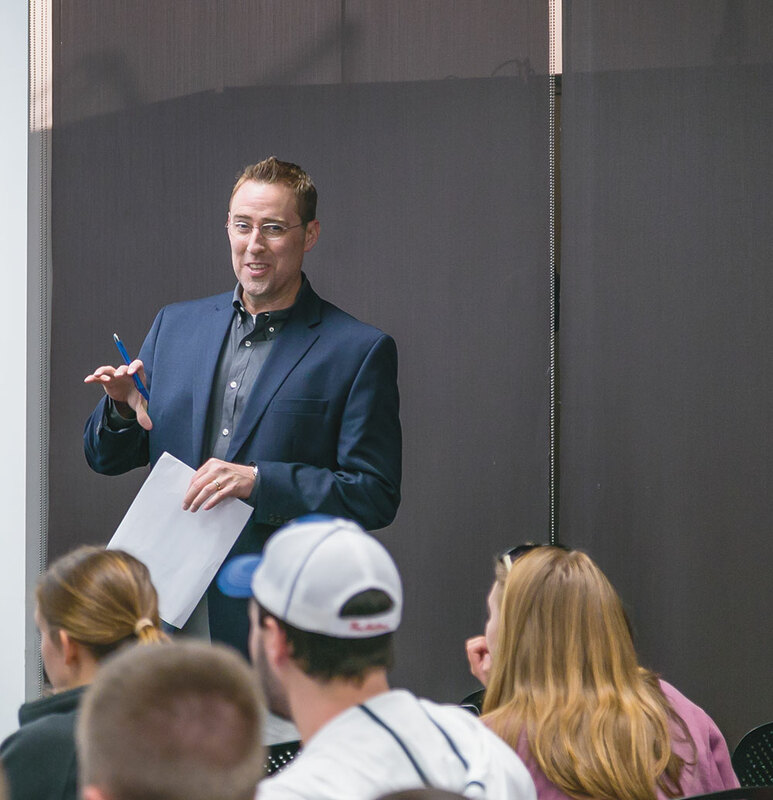 Chad Gibson, AICP, the senior planning officer for the Columbus suburb Upper Arlington, had only been a guest speaker before his entry into the world of teaching at Ohio State University, which he describes as "a fluke." When another instructor bowed out of a studio due to a personal emergency in late 2011, Gibson stepped in six days before the start of the semester. "I was nervous, but saw it as the opportunity of a lifetime," he says. He quickly developed a syllabus for a course to explore the feasibility and land use potential of a connector road between Upper Arlington and Columbus. Bonnie Johnson (in red) coaching students in a site planning and design class. Photo by Charles Linn, FAIA. 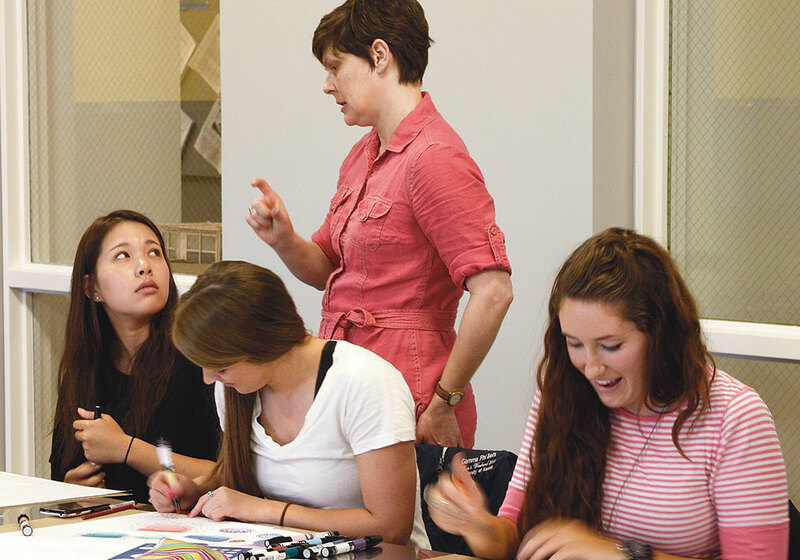 Gibson has taught an undergraduate or graduate studio for OSU's city and regional planning program every semester since. He received the OSU Dean's Award for Outstanding Teaching by a Lecturer in 2017, and his students' work has made an impact, too: it's won awards (including a 2016 AICP Student Project Award for Columbus Rail Today: A Timeline to Multi-Modal Transportation), been used by clients (like Fayette County, which adopted the Fall 2016 studio report Envision Fayette County as an update to its comprehensive plan), earned funding (a $912,000 Attributable Funds Transportation Grant from the Mid-Ohio Regional Planning Commission to complete a bike-share expansion plan in Upper Arlington), and helped secure good planning jobs right out of school. A still from the BBC program Permission Impossible: Britain's Planners, which Johnson uses in her classes to illustrate planners in action. Photo by BBC. "I found it specifically useful when practitioners encouraged students to be uncomfortable and try new things," says Laney Ellzey, who graduated from OSU last spring and immediately started a job as the planning and building assistant for the city of Worthington, Ohio. "For example, calling professionals, preparing agendas and memos, and organizing meetings. Doing these things as students is great practice for the workforce, and hearing practitioners' stories or case studies helps give insight into what those jobs are really like." Gibson's success as a teacher might be partially attributable to innate talent, but the tremendous amount of work he puts into his courses is also a factor. "A critical component is prep work with the client, and you have to be very well organized," he says. On a late June day when I spoke to him on the phone, he had met with the client for his fall semester studio that morning, even though he's not paid for work outside the regular school year. Real-life lessons can also be brought into the classroom in more unusual ways. 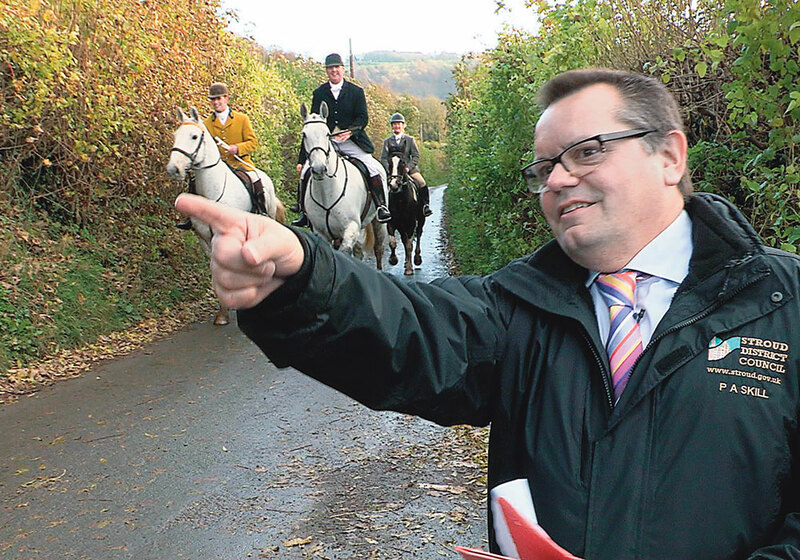 Johnson has used episodes of the BBC documentary series The Planners and its successor Permission Impossible showing planners in action as a way to illustrate case studies and apply theory. "These shows follow the path of an application, taking it to a vote, and give viewers the opportunity to see planners at work," she says. "Students can see the different roles planners play, and whether they are collaborative, communicative, or primarily technicians." Students facilitating a discussion with residents of the Barker neighborhood. Photo courtesy University of Kansas urban planning program. Some planning functions are harder to teach in a classroom or a studio setting. Students learn the theory behind community organization or development, but not necessarily how to do it effectively. Chelsea Neblett, who studied in the master's program at Detroit's Wayne State University, has since been doing community engagement work for local nonprofit Grandmont Rosedale Development Corporation and Detroit's Department of Neighborhoods. "One of the things I felt was missing from [Wayne State's] program was actual community work," she says. "In a community like Detroit, understanding how to enter the community and work with the population is so important. There's a sense that a lot of the time planners swoop in, "engage," do a shiny book of recommendations that might sit on shelf, then leave." She notes that a kind of "planning fatigue" had settled on northwest Detroit, which has long had a tradition of strong community development groups. During and after the city's bankruptcy, as its planning department reemerged after years of torpor, "there wasn't always a lot of attention given to work residents had already done." Detroit has a lot of nontraditional "planners," says Neblett, such as within its robust urban agriculture infrastructure that dates back to the late 19th century. "Organizers who work in food systems and security or helping people purchase vacant lots are, at some level, doing planning work," she says. Do-it-yourself activism isn't always reflected in coursework, and planning processes that don't take into account this kind of history are less likely to be welcomed, implemented, or successful. "If you can develop a relationship over the years with a community or set of communities, those classes can build on each other," Johnson says. "One class might use citizen input or data from another." She points to programs that have done a good job building long-term relationships with communities, like the University of Hawaii, which has worked with native Hawaiian groups, and Portland State University in Oregon, which has worked with cities throughout the state on interdisciplinary sustainability projects. But even these approaches might need more to prepare students for the job market in a still-tough economy. "Now, more than ever, it's incumbent on program directors at the master's level to be very methodical and thoughtful, to make sure every course required has its place, and is rigorous and intentional," says Sirinya Matute, who works in transit marketing for the city of Santa Monica, California. "Programs should make sure that the course gives students tangible and monetizable skills, so they are competitive for internships and first/second/third jobs." Matute, who graduated with a master's degree from UCLA in the midst of the financial crisis and recession a decade ago, also notes that many people drawn to planning are students of color, nontraditional learners, or members of other often marginalized groups. "Graduate school is expensive, and many aspiring planners incur tens of thousands of dollars in debt while attaining their degrees," she says. "Programs have to prepare them not just to do nice things for a community — however laudable — but to be able to do it in a way that allows them to make livable wages and achieve a decent standard of living. This requires sustained attention to professional development, including networking, navigating the civil service hiring process, and the acquisition of transferable, high-value skills, such as leadership training, project management, contract management, or grant writing." Helping students launch strong careers in the "real world" of planning doesn't just benefit the students. 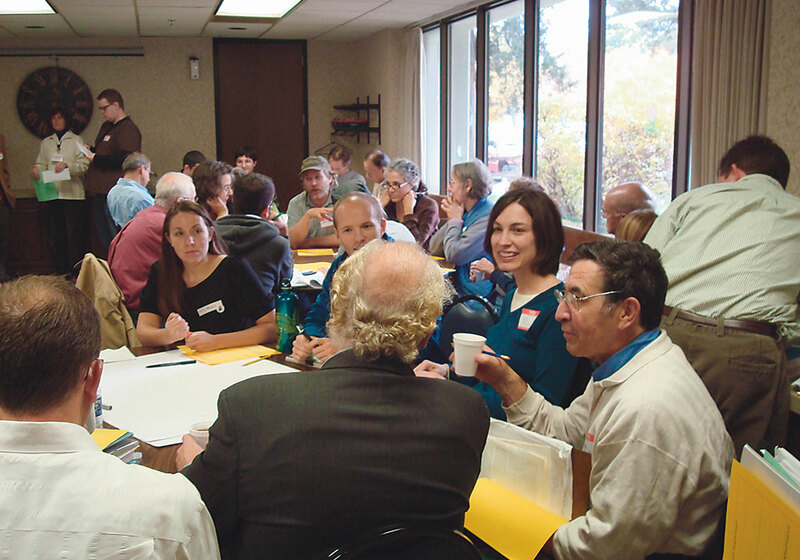 Maybe, recalling their own positive experiences, some will come back to share their experiences as adjuncts themselves, paying their own practical experience forward to the next generation of planners. Linda McIntyre is a planner and an award-winning freelance writer based in New York City.